In this day and age, it’s hard to realize that most of us with cellphones hold more computing power in our hands than NASA used in the 1969 Apollo 11 moon shot. Science fiction in 1972 showed us tech so advanced that… occasionally, we now laugh at it. Computers filled entire rooms, communications were limited (even with the best equipment available) and information still took forever to gather, long enough to allow for large dramatic speeches that were necessary in order to stall for the time to get the goods on the bad guys. That doesn’t make the shows any worse, or the stories any less interesting, just… well, a bit dated. 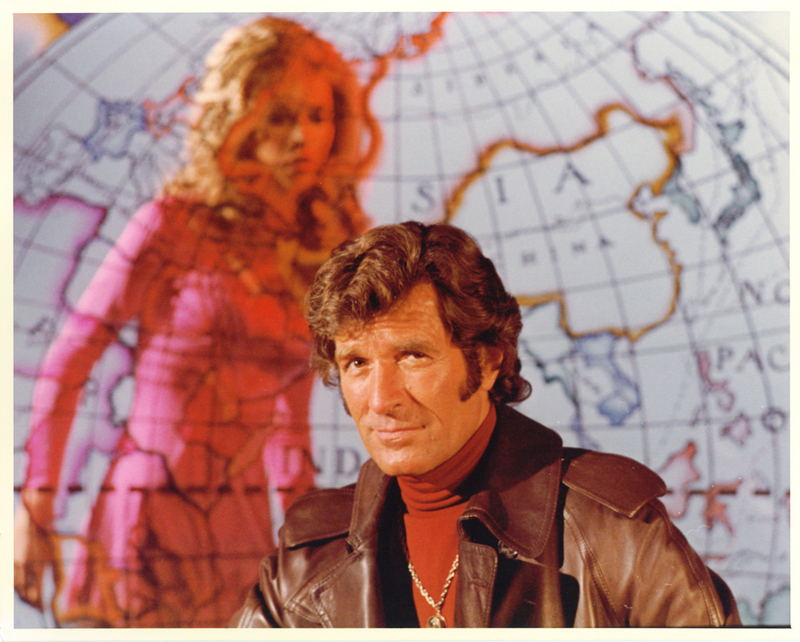 Which now brings me to Search, a “high-tech” spy show that ran on NBC starting in 1972. Search had the requisite room full of computers, and a tech staff large enough to run the bridge of the starship Enterprise. 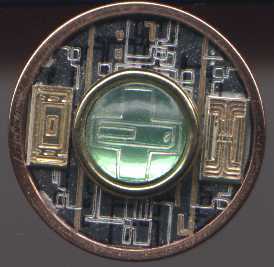 It did tell engaging spy stories with a very interesting hook: Each of the spies was technologically “connected” back to the home base, both with physical “implants” and with miniaturized cameras and microphones. Those “tech” implements could provide their status back to the base, halfway around the world. Conversely, their specialized and advanced base team would provide to the agents any and all knowledge and information necessary for their mission. Besides the “tech”, the other unusual part of the series was that it had multiple rotating leads (and few shows have done this, notably ’60s series The Bold Ones and The Name of the Game). 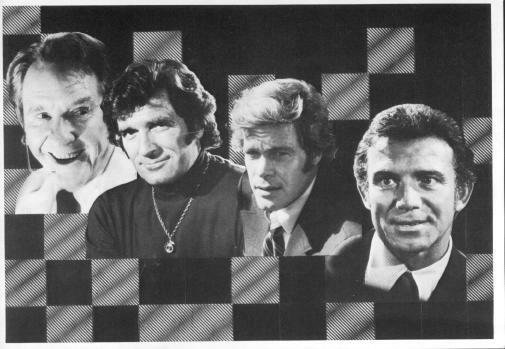 Instead of building a show around one character or star, Search had three of them (Hugh O’Brian, Tony Franciosa, and Doug McClure), plus a regular supporting cast. The leads never appeared together in the show–they just starred in their “own” episodes. Each character had a “specialization” that allowed them to be the “right” agent, depending upon the type of mission (and therefore, whatever type of story the show wanted to tell that week). This was in keeping with what NBC was already doing with its Wednesday night schedule that year. Search ran at 10/9 Central, immediately after The NBC Wednesday Mystery Movie. This was significant, because the Mystery Movie ALSO had three “rotating” elements (being Madigan, Cool Million, and Banacek). NBC could then mix and match (and promote) their preferred style for each evening, depending on which particular “shows” and “stars” they wanted to feature that week. The leads were Hugh Lockwood (Hugh O’Brian, the lead operative, code-named Probe One), Nick Bianco (Omega Probe, whose specialty was organized crime cases, played by Tony Franciosa), and C. R. Grover (a sort of “jack of all trades” substitute, brought in when a previous field agent had been killed or put out of action in the middle of a case, played by Doug McClure). They were “connected” to Probe Control, manned primarily by Cameron (“Cam” for short, played by Burgess Meredeth, the only actor who appeared in every episode), who tried mightily to keep the agents on task and give them the info they needed. 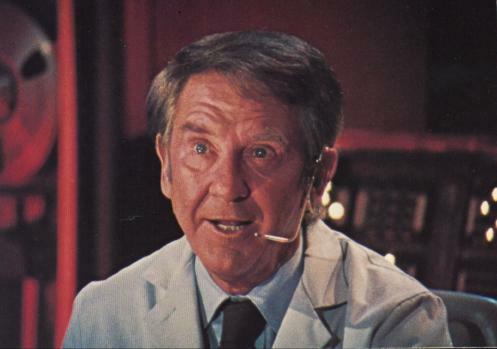 Lockwood was more the “brainy” hero, who was good at figuring out whatever scheme might be going down. Bianco, specializing in criminal elements, had more of a tendency to solve problems with his fists. Grover, being the “sub”, had this habit of going “off the playbook” and improvising his way through, much to the consternation of the team back at Control. And believe me, they needed that team. You see, this wasn’t some government organization, or secret military group. This was the World Securities Organization, a private company who specialized in recovering and protecting valuable people, things, and whatever else may need protecting… or finding, if it had been lost somehow. This is why they had all sorts of wonderful tech “toys” to play with, and specialists back at Control to help use them. And that laughter was heard by the agents as well, who were “wired” up so that their conversations worked both ways. In the event that spoken exchanges were dangerous, there were implants in the agents’ teeth that could be used as signals back to base to answer questions and exchange more information. And the experts back at Control included people educated in medicine, interpretation of languages, psychological tendencies, and all sorts of other resources that might be necessary for the dashing spy of the early ’70s. Similar to the filming of Voyagers!, the backlot and street sets of Universal were used heavily for this show, which supposedly took place all over the world. There was only one standing set (Probe Control), although it was remodeled three times during the one-season of the show. This was both to make it “brighter and more open” (and easier to shoot scenes on) and also to eliminate a seat or two (which meant a few less extras and a few dollars saved, which went straight into the location budget). But what the show lacked in budget, it made up for in imagination, or at least, 1972 imagination. Remember that the cold war was still on, so there were political enemies; we had a Probe agent who specialized in criminal investigations; and Mankind was still sending men to the moon, so tech was not an everyday thing for everyman, but something to be marveled at and used as the backdrop for action-packed and exciting adventure stories. The difference being that, on Search, the “heroes” were being helped from half a world away. It was amazing then. Nowadays, we can all watch the World Cup in South Africa, also halfway around the world… and we still wish they had the TV replays of the soccer games at Probe Control, so they could have gotten some of the calls correct…. Search may be dated now… yet it was but a few more years later that we got such shows as The Six Million Dollar Man and The Bionic Woman, which set new standards for TV character “tech”. Still, Search was the first to prove that there were real applications for those whiz-bang gizmos, and it wouldn’t be all that long before we started seeing them more as regular parts of our lives. Almost everything that was “new” and “different” on Search now exists, and some of it has been vastly improved upon since then… but somebody had to come up with a way to make it work first, and make it “cool”, and make it worthwhile. Star Trek communicators may have invented “flip” phones, but Search imagined its own share of today’s “reality”, whether it’s medical telemetry across distances or digital imagery that can be magnified and manipulated. Not a bad legacy for a show that only lasted a season…. TONY FRANCIOSA (Nick Bianco) was both a Tony nominee (for A Hatful of Rain) and Oscar nominee (for the film version of the same show). Eager to act in any medium, he was also one of the rotating stars in The Name of the Game (mentioned above) and later starred in both TV versions of Finder of Lost Loves and another spy series, Matt Helm, along with his eight episodes of Search. DOUG McCLURE (C.R. Grover) was also best known for a western series, starring in The Virginian. In addition to his seven Search episodes, he also appeared in the original Gidget movie, and starred in the blog-fodder ’70s series The Barbary Coast with William Shatner. He played four years on the syndicated comedy Out of this World in the late ’80’s, and has been immortalized, not just with a Star on the Hollywood Walk-of-Fame, but by being part of the inspiration for the “Troy McClure” character on The Simpsons. BURGESS MEREDETH (Cameron) had a solid movie career, best remembered as Mickey, the trainer, in the Rocky series of movies (for which he was nominated for an Oscar). He appeared as a regular in three TV series (Mr. Novak; Search; and Gloria, the spin-off of All in the Family). Among his many guest roles, he is well-known for his legendary appearances on The Twilight Zone (in arguably two of the best episodes, Time Enough at Last, and Mr. Dingle, the Strong). And, of course, he appeared in 21 episodes as the most villainous fiendish fowl ever, The Penguin, on the TV series Batman. Given the state of the world today, some may still think of this as science fiction. But I’m one of the few (if you haven’t noticed yet by some of my choices here on this blog) who truly BELIEVE in science fiction. Not as something yet to happen, but as something that can affect each and every person in their lives right NOW, with ideas as great as you let your imagination believe. In this case, there really is a “Search”… and it’s not a TV show, it’s a way to choose to live. 2-hour pilot (called Probe), plus 23 hour episodes. None unaired. Aired at Friday 8/7 Central: No. Wednesdays, 10/9 Central, although it had enough “tech” and SF to easily qualify for the normal Friday Night slot.